Although the feeling of the warm sun shining down on you can feel good, too much of it can cause dehydration and damage to the skin. If you’re not careful, inadequate skin care and overexposure to the sun can result in facial imperfections, like wrinkles and fine lines, to develop in specific areas around the face. 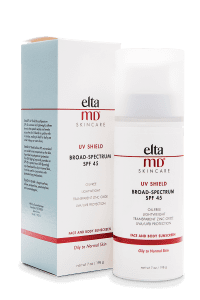 EltaMD® is a broad-spectrum sunscreen that can hydrate and protect your skin against harmful UVA and UVB rays. EltaMD® sunscreen can help prevent sunburn, decrease the risk of skin cancer, and stop early skin aging caused by the sun’s harmful rays. 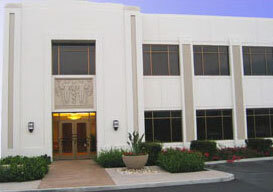 EltaMD® is a non-comedogenic, fragrance-free, sensitivity-free, and paraben-free product. It is safe to use on all skin types and recommended by The Skin Cancer Foundation as an effective broad-spectrum sunscreen. EltaMD® is formulated with transparent zinc oxide and all-natural mineral compounds that will shield your skin from UVA and UVB rays. Each skin care product includes gentle deep cleansers and revolutionary moisturizers that can treat normal, sensitive, or troubled skin. During your consultation, Dr. Doezie will evaluate the condition of your skin to determine which of our EltaMD® products will best help your skin achieve and maintain a healthy complexion while still being protected from the sun. EltaMD® will keep your skin soft, pliable, and plump for years to come. Each application will nourish and beautify the skin for a vibrant and youthful appearance. Be sure to keep your skin clean and protected from the sun when using EltaMD®. Make sure to moisturize after bathing and again as needed to help retain moisture in the skin. Most risks involved are due to improper use of the product or improper skin care practices. If complications should occur, please contact your doctor immediately.